The practice of nursing is composite and diverse. Good and professional nursing practice require ethical and skilful demeanour as a medical and clinical practitioner. Clinical and medical judgements must be informed by scientific evidence and the development of technology. The study of nursing practice is broad as it involves chemical, biological and psychological experiment processes and medical trials at the end of a study. There are variations in the practice of nursing, especially when dealing with a specific patient. Some of the variations might not be accounted for by science, therefore, the clinician must employ clinical reasoning skills in order to understand the situation of the patient [ CITATION Bla16 \l 1033 ]. Clinical judgements and skills develop with time as the nurse consistently makes scientific decisions. Poor judgements are definitely inevitable at some point; however, nurses are able to make informed decisions as they learn from these mistakes. Nurses and other clinicians learn from bad judgements as they progress. This analysis seeks to outline the process of transition from graduate nurses to professional registered nurses. There are factors, strategies and certain resources that enhance and facilitate the process of transition to professional nurses. Professional nursing practice comprises of several elements and components that graduate nurses should learn during the transition. There are numerous clinical and non-clinical skills that should be managed by graduate nurses during the transition to professionalism. Communication and relational skills are basic skills acquired by graduates at the beginning of the transition [ CITATION Kai13 \l 1033 ]. Graduate nurses should be able to maintain good and effective communicational skills with their patients. As the graduates grasp experience their nursing assessment and intervention skills are developed. The proficiency in making more informed decisions without involving an experienced doctor in enhanced. A critical analysis of the transition from graduate practice to professional nursing practice will reveal the difference between the two nursing practitioners. Professional nurses have outstanding clinical reasoning skills, good relational skills and communication skills. Being professional also entails being able to adhere with ethical and legal principles of the nursing practices. The most important aspect of professionalism, however, is the ability to make problem solving solutions. The decisions made by professional nurses are completely scientific and not just based on premonitions. When a nurse makes an informed decision concerning a patient situation, he/she is said to be very competent [ CITATION Wat16 \l 1033 ]. Understanding the patient situation even though the nurse cannot provide an immediate intervention is a form of professionalism. The nurses consistently monitor the patient’s situation and classify it as either improving or deteriorating [ CITATION Smi16 \l 1033 ]. Experienced nurses tend to have a good grasp of the situation and highlight all the possibilities and solutions that are applicable. Skilful practitioners should be able to make immediate interventions to a medical concern depending on the background of the medical concern. The experienced nurse will look at all the relevancy and appropriateness of the evaluation to the available possibilities. A competent nurse is able to decide between important and limit he or she to the expected situations based on past experiences. Being a professional nurse also requires one to abide by the ethical and legal principles and theories in nursing. These principles guide nurses in their daily medical practices. The Hippocratic Oath of doctors and nurses requires nurse to practice medicine ethically that is what competency entails. Nurses are also expected to provide high quality care to their patients and also act according to their professional knowledge when providing clinical care to patients [ CITATION Kum17 \l 1033 ]. Nurses are also expected to seek a patient’s consent when it is required and not just assume that the patient will be contented with the intervention [ CITATION Sta16 \l 1033 ]. Skilful nurses will also seek to do good to patients at all times and not cause harm to the patients neither physically or by leaking vital information to an outside party [ CITATION Kin17 \l 1033 ]. Nursing intervention should always adhere to the laws guiding it. Issues like physician assisted suicide are legal in major parts of the world and should only be practised in areas where it is legal. Professional nurses portray good communication skills as well as maintain a good relationship with the patients. The relationship between a nurse and the patient defines the kind of care the patient will receive and how the patient reacts to the care. Some nurses tend to be unapproachable due to their characters which are very unprofessional. A good communication skill is art of being able to reach out to the patient and be able to assess their condition [ CITATION Bra14 \l 1033 ]. In case the patient in not able to communicate due to a medical problem, nurse need to find a way of reaching out. For instance, if the patient has a hearing problem, nurses could employ the use of hearing aids to communicate to the patient. Good communication skills also refer to being able to ask questions and answer them well enough for patients to understand them. These are the professional skills that make nursing practices effective. The transition from graduate nursing to professional nursing is often clouded with emotions. Some graduates tend to happy others will be anxious or fearful as they venture into the practical field of nursing [ CITATION Hof16 \l 1033 ]. There are several factors that are considered in the transition to being registered nurses. The issues that change during this transition are; Gaps arising from the theory to practice change, caring for progressively composite patients with several medical disorders, managing their time, administration of medicine, the skills for assessing patients, documentation skills, insufficient expertise in managing and implementing practical skills, working and co-operating with colleagues, accountability, making informed decisions, working in shifts, economic development of competency in preparation and organization, giving priority to and handling unforeseen events, not being able to access experienced and skilled nurses, anxiety during performance and forms of bullying by senior colleagues such as being overworked [ CITATION Kai13 \l 1033 ]. However, graduate nurses tend to be very rich when it comes to communicating with patients, being accountable in the nursing profession and psychological assessment of patients. There are several strategies, however, that can help graduate nurses in this transition. These are; mentoring and coordination programs and support by senior nurses, proper planning of their daily activities, the administration must be very competent, guidance and supervision by senior nurses and assistance when dealing with delicate patients so as to learn the proper way of intervening [ CITATION Kav17 \l 1033 ]. 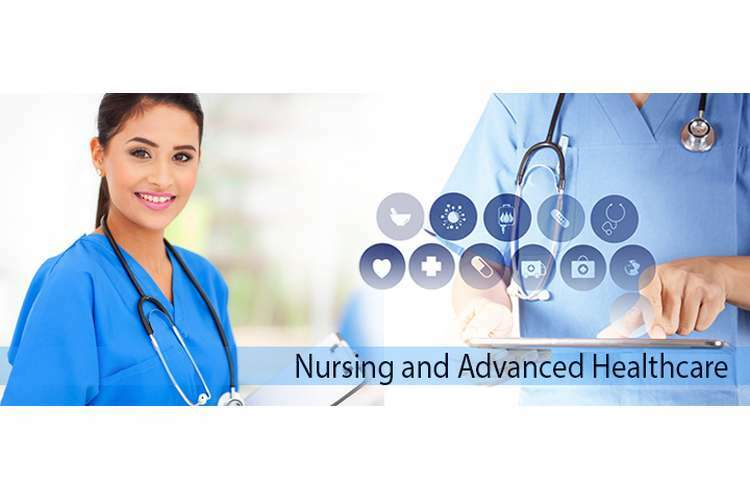 These approaches will most likely improve the clinical reasoning skills of new graduates as well as help them settle comfortably in the professional practice of nursing. In some medical institutions, graduate nurses are assigned to work closely with senior medical staff in order to gain experience and learn how things work in the practical use of medical knowledge. The graduate nurses learn how to implement their vast professional knowledge into practice. Managing the clinical skills as well as their technical skills of graduate nurses is important as it helps them get comfortably during the transition as well as avoid dire mistakes that might cause death. Graduate nurses may fear or become very anxious when dealing with deteriorating patients that is why they have to be guided and supervised. Clinical reasoning requires a lot of experience in the nursing profession, therefore being a graduate nurse I’ll need to grasp a lot of knowledge and experience as I engage in the practical application of medical and professional knowledge. Clinical reasoning skills will enable me make effective and appropriate decisions during the evaluation and assessment of patients [ CITATION Kra14 \l 1033 ]. These skills enable me to assess, interpret, analyse and conclusively find out the patient’s disturbing condition. Being able to think critical helps me to solve the problems affecting the patient. Apart from thinking, conducting research as well as working with other colleagues will help me make informed decisions as I seek to find an appropriate solution to a medical condition. Good communication skills not only help me to find out the patient’s condition but also help when seeking assistance from senior nurses. Competency comes with experience and learning [ CITATION Koh17 \l 1033 ]. As I aim to become proficient in my undertakings in the nursing profession, I have to be competent and always be ready to learn especially from previous experiences and mistakes that I make. Being a graduate nurse, I still have a good grasp of medical and ethical knowledge in the nursing profession which helps me transit comfortably to a professional nurse. The transition from graduate nursing to professional nursing is not an easy task due to several barriers that graduates encounter during the process. However, there are also a number of strategies that can be implemented to facilitate smooth transition. The resources needed for the transition such as mentors and counsellors are also available to some graduates. The clinical skills appropriate to this transition should be carefully managed to avoid mistakes during the practical application of nursing knowledge. If all the necessary strategies are employed during this transition, then graduates will be able to avoid anxiety and fear while practising medicine and dealing with deteriorating patients [ CITATION Hof16 \l 1033 ]. Therefore, it is necessary to look at all possible strategies and implement them in order to facilitate the transition of graduate nurses. 1. Blais, K. K., & Hayes, J. S. (2016). Professioonal Nursing Practice: Concepts and Perspectives. Pearson. 2. Bramhall, E. (2014). Effective communication skills in nursing practice. Nursing Standard, 53-59. 4. Kaihlanen, A., Lakanmaa, R., & Salminen, L. (2013). The transition from nursing student to registered nurse: The mentor’s possibilities to act as a supporter. Nurse Education in Practice, 13(5), 418-422. 5. Kavanagh, J., & Szweda, C. (2017). A crisis in competency: The strategic and ethical imperative to assessing new graduate nurses’ clinical reasoning. Nursing Education Perspectives, 38(2), 57-61. 6. King, C. A. (2017). Clinical ethics: patient and provider safety. Aorn Journal, 1-2. 7. Kohtz, C., Brown, S. C., Williams, R., & O’Conner. (2017). Physical assessment techniques in nursing education: A replicated study. Journal of Nursing Language Education, 56(5), 287-291. 8. Kramer, M., Brewer, B. B., Halfer, D., Hnatiuk, C. N., MacPhee, M., & Schmalenberg, C. (2014). The Evolution and Development of an Instrument to Measure Essential Professional Nursing Practices. The Journal of Nursing Administration, 569–576. 9. Kumar, A., & McHugh, M. (2017). Better Nurse Autonomy Decreases the Odds of 30-Day Mortality and Failure to Rescue. Journal of nursing scholarship, 73-79. 10. Smith, S. F. (2016). Clinical Nursing Skills: basic to advanced skills. Boston: Pearson." 11. Staunton , P., & Chiarella, M. (2016). Law for Nurses and Midwives. Elsevier.